B and B Da Vasco is centrally located in a historic building right in the centre of the town of Lerici. It overlooks the historic Piazza Mottino (the old town pedestrian area), adjacent to the main square, Piazza Garibaldi, where you can enjoy choice of local restaurants, bars, pubs and shops. 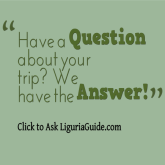 The alleyways next to the B&B will lead you to the entrance of the Lerici Castle in just 5 minutes. The B & B is an ideal base for beach lovers with less than 50 meters from the sea and a wide choice of beaches. 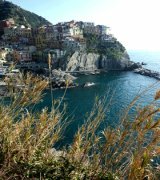 It is a great base to explore the Gulf of Poets and the Cinque Terre too. The embarkation point for the ferry services to the Cinque Terre (Riomaggiore, Manarola, Corniglia, Vernazza, Monterosso), Portovenere and Portofino is right on the seafront, a few steps from the accommodation. At the same time, the location is ideal for hiking lovers as the nature hiking trails of the National Park of Montemarcello can easily be explored from here. It is also conveniently close to the bus services direct to all nearby districts: Tellaro, Fiascherino, San Terenzo, La Serra, Montemarcello and Sarzana. B and B Da Vasco is on the second floor of a historical building and has been conveniently divided into 2 spacious double rooms of different size which can be rented separately. Two of the rooms offer self-catering kitchenette area. The entrance of the house is off a charming alleyway of the historical town. Marble staircase leads you to the second floor of the building (note there is no lift) where the 'Azzurra Room ' and 'Gialla Room' are located. The prices are inclusive of breakfast which is available in your room. Each room has a LAVAZZA coffee machine (italian best coffee) to prepare coffee, tea, cappuccino. You will also find packed local products: croissants, fruit juices, crisp toasts, marmelades and chocolate cream. No extra charge for cleaning on departure but the owner expects for the residence to be left in clean condition. Arrival time is after 1:00pm . Check Out time is before 11:00am . No animals are allowed to stay in the property.